After you completed the order, we will send you an e-mail containing the crypto payment link. This tutorial will also get included in the order-mail. Place your desired watch in the shopping cart and follow the checkout process. 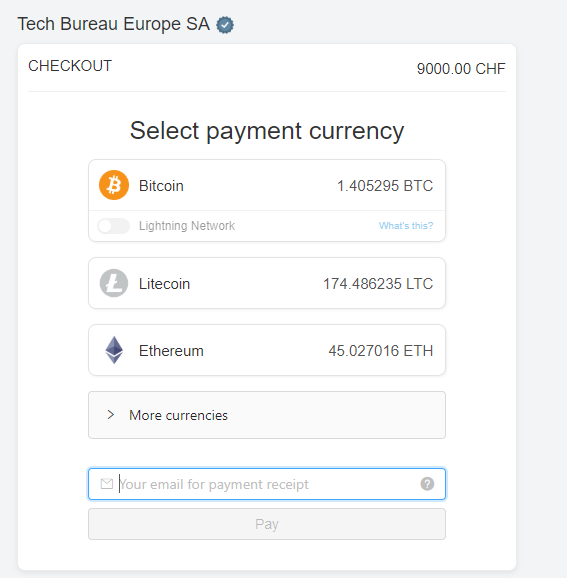 Choose “crypto” as your payment method. After successfully ordering, we will send you an e-mail with a payment-link for cryptocurrency. When you follow the payment-link you should see this screen. Click "Checkout". Choose your desired cryptocurrency. You can use Bitcoin, Litecoin, Ethereum or Bitcoin Cash. Insert your mail adress for the payment receipt. Click "pay". 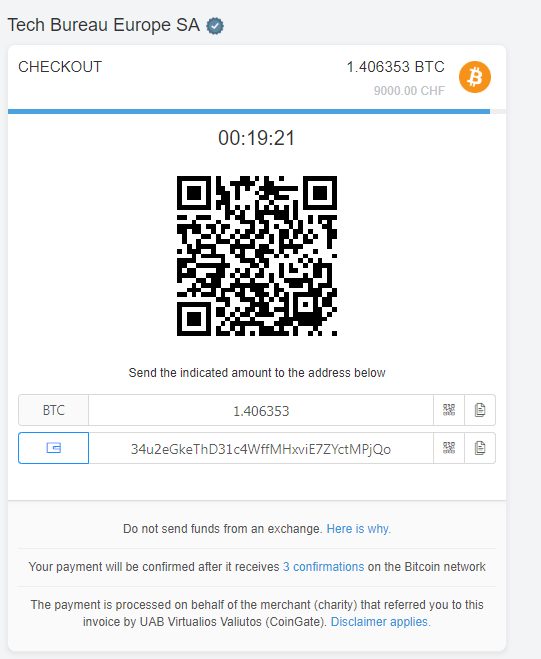 Open your wallet and scan the QR-code/copy paste the address and submit the transaction. Wait until the transaction is confirmed.